Greetings […] I took the time to read about the old band & what everyone is doing these days. I was surprised to learn that you are a self proclaimed Agnostic. I’m curious….& trust me no judgement here….You use to lead people to Christ & lead others in praise & worship. How does one separate themselves from the God they believed deeply in? I don’t quite understand how you went from certainty to uncertainty & doubt. Enlighten me….. Thank you…. I appreciate the question and take at face value that this is genuine and free of judgment. When I answer such questions, I often have to do so by refuting the basic assumptions of the question and that can appear confrontational. I don’t intend that at all but I’m compelled to answer thus or else I’m not being truthful. How does one separate from the God they believed deeply in? The easy answer to this one is simply that after having submitted my beliefs to scrutiny and the standards of inquiry that we would require for any important objective claim, it was no longer possible for me to believe. The version of God I deeply believed in simply could not exist and I can’t find a reason or basis on which to replace it with any other. It’s not a matter of separating myself from God because the question assumes that there actually is that God to separate from in the first place. Once the claims were put to the test, I could find absolutely no basis, no reason to hold those beliefs any longer, and that’s what I separated from. It’s a matter of being true to my intellect and my conscience. I understand that many believers have not, like I had not, put their beliefs to the test of genuine inquiry, nor will they because of what it might do to their faith. As Will Durant said, “Inquiry is fatal to certainty,” and that just will not do sadly, when dealing with what we deeply believe. Religious beliefs seem to fall into one of three categories. 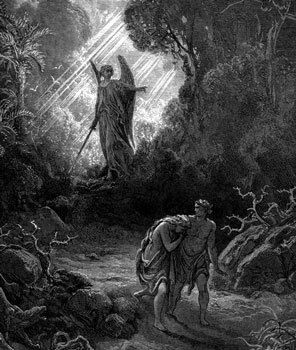 They are either unknowable and can only be taken on blind faith (the existence of cherubim, for example and all such claims), possibly-knowable based on evidence or analysis that might show up someday, or third, claims that are at least somewhat verifiably known already. In the first case, agnosticism is the most reasonable response. “Cherubim? Hell? Who knows? !” In the second case, agnosticism is also the most reasonable response. We have no independent source to back up the objective claims that the earth turned black, that there was a great earthquake, that the graves of many were opened and gave up resurrected bodies or that the temple veil ripped in two at the death of Jesus. Did those things actually, literally, really happen? Who knows?! We have only one source of such claims where there should be many independent sources. It’s at least possible that undeniable evidence for these events or the resurrection of Jesus from the dead will eventually show up but we don’t have any now. In the third case, I must defer to the evidence, no matter where it leads. Recent evidence has suggested that there actually was a King David in Jerusalem. I accept that evidence. I also accept the evidence that suggests the most likely origin of the Canaanites, and that it was not an exodus from Egypt that looked anything like the biblical account. I am in the service of the truth by having changed the way I evaluate religious claims. What is there to be certain about then? We can certainly not be certain of the claims that would fall into the first two buckets. And for those that fall into the third, there is simply not enough there to put together the whole story, mythology (as much of it certainly is) and theology required to consider myself a Christian. Let me put it another way and be a bit more blunt. I am not certain and neither is anyone else. The religious often claim to have that certainty but if the word is to have any meaning at all, the best anyone can do is to claim to believe things fervently or to be completely deluded at worst. It is as if by digging in, by sheer force of will, by obstinance in the name and guise of steadfastness, to show oneself a good and faithful servant and embrace the unknowable and not-yet-knowable, we have convinced ourselves that we are certain. There is simply no way to support why other than an appeal to faith. It’s exactly this false sense of certainty and aversion to doubt that philosopher and theologian Thomas Talbott wrote about when he distinguished between faith, belief and knowledge. What this really means is that I have not moved from certainty to uncertainty at all, but from the illusion of certainty into a more rigorous way of evaluating truth claims. One rather ironic result is that I have more “faith” (in the way Talbott uses the word) than I did as a religious believer by virtue of “owning up to whatever knowledge one has,” and we have enough knowledge to come to some fairly certain conclusions. I have moved from the illusion of certainty to the more reliable methods and standards of analysis we would require in any other area of our lives except religion. 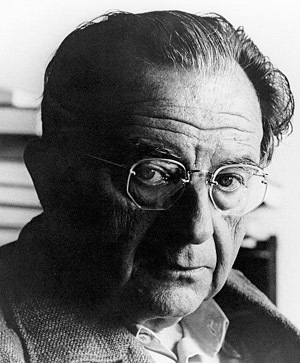 This entry was posted in Freethought and tagged Agnosticism, Erich Fromm, Faith, Meaning, religion, Theology, Thomas Talbott by ojotaylor. Bookmark the permalink. For some reason I still consider myself a believer of sorts (though no Christian in their right mind would consider me one), even though I come to almost the same place that you do here. I especially found your statement about having “more faith” interesting, as I’ve felt that very thing about my beliefs (though I probably mean it a bit differently that you do) – that if there is a god, if indeed anything be “true”, then it will surely stand up to the harshest onslaught we can manage of questioning and doubt and testing, Only those who don’t truly believe are afraid to test what they claim to believe. It isn’t a cynicism for the sake of being contrary, it is a refusal to accept insufficient answers – a holding out for the real thing, which (to me) includes a belief that there *is* a “real thing” to hold out for.. A person who really believes that the wall of his house is made of solid brick isn’t afraid of someone punching it as hard as they can, but a person who secretly thinks the brick wall might actually just be a painting on paper is going to fear what a blow to that “wall” might do. True faith is not afraid of a test. A bit of a breakthrough moment for me came a few years ago when I realized that there was a big difference between doubting “God” and doubting *what people say* about God. the vast majority of believers will never make (nor even understand) this distinction. And I realized that every specific religious belief I had was something that someone told me. none of it was unquestionable direct experience (and how can we ultimately believe anything *but* direct experience, when so many people have so many vastly different and often contrary beliefs for us to “accept on faith”. anything less is basically hearsay, which is one tiny step away from heresy). Any “direct experience” I may have had in my life was either too vague to pin down to any specific religious belief, or too colored by my expectations or already-held beliefs about what it was or meant. This distinction followed from a previous trouble I’d had for years and years – the question of how do you distinguish between the voice of God and the voice of your own thoughts (do you know ANY christian who doesn’t at some point speak on God’s behalf – God showed me, God led me to.., God wants X from us, etc. etc.?). Yet another question that always gets met with a deer-in-the-headlights look from Christians. Well put, both brookdowns and Ojo. I think I’m in somewhat of a similar place as you, brookdowns. I grew up in a heavily evangelical home (the high point of my high school years was Undercover playing at my school one day during lunch my sophomore year…), and I, like so many, have had years to evaluate the truth claims of my faith. I went to seminary (for an academic rather than vocational degree), and have landed much in the same place. You’re right…nothing gets me more than Christians who say “God led me to”, or “told me to”, or anything else. How the hell do you know really? I sure don’t. The funny thing is, like Ojo, I’m more comfortable living in the gray space…what the United Church of Christ (which is considered heretical by most evangelicals) calls “Living the Questions”. But I still hold on to my faith, albeit one very different from the one in which I was raised. The doubts are never gone, but instead they spur my faith to keep looking for the truth. When facts debunk what I once held as true, I go through process of changing my view of truth. A tough experience, to be sure, but I always come out better on the other side. To be honest, though, the one thing I find difficult is telling my family and many old evangelical friends of my doubts. I still value those relationships, and maybe it’s fear of being shunned, but I’ve yet to cross that road except with a few friends who, despite their steadfast evangelicalism, I knew would still accept me. Thankfully, I live far from most of may family (that didn’t come out quite right…), so I don’t often have to confront it. I know that at some point I will, though. I, for one, am glad you have landed in uncertainty. Atheism seems to be another form of certainty, another high place from which to judge and cull humankind. I too am uncertain, but conversations with atheists seem to be tainted with the same evangelical goal as those with Christians. Like someone is trying to win. The whole “God told me” frame of mind is as arrogant as the typical intellectual stance. Why do humans have such a strong need to be right? Honest co-exploration involves questioning, challenging and supporting each other. Above all, truly listening. I agree with what you say about atheists. I am an agnostic that feels most at home in Buddhism, because it emphasizes being a better person, but considers the existence of a creator irrelevant (they also acknowledge that their texts were changed and not always for the better over time). I find that many atheists have an evangelical zeal that rivals that of Falwell. Why is it so important to atheists/evangelicals that everyone think like they do? Anyway, like in the Erick Fromm quote above, I find that the unanswered questions, the mystery, keeps me open to my experience. As you say, when one already has the answers, one usually doesn’t truly listen to the other or give due consideration to their point-of-view. Thanks for your reply. I do consider self-righteousness to be part of human nature and not exclusive to any group of humans. Within Buddhism, Soka-Gakkai practices evangelism and considers themselves to be closer to the true dharma than other Buddhists. The Sinhalese Theravadins oppress the Tamils in Sri Lanka. It is not my place to convince anyone to be a Buddhist; though it suits my desire develop into a more compassionate and loving person. I have found compassion and love amongst Christians and atheists too. If one desires to be a positive influence in the world and strives for it, they will make it on whatever path they choose. Thank you for telling me about Sam Harris, I will look into him. The Dalai Lama has recently said that he thought religion has outlived its usefulness and supports secular forms of developing positive inner qualities. Trungpa Rinpoche (another controversial figure in Buddhism) developed a secular form of practice based on Tibetan Buddhism called Shambhala. Have you heard about the atheist mega-churches? I truly hope to see secular forms of spiritual work (for lack of a better term) spread. I am right there with them. Strident atheists have concluded that religious belief is not just “wrong” but rather actively counterproductive or even destructive. I think that’s the source of the zeal to which you refer. I am trying reply to JK’s reply, however there is no link for replying under his reply. Huge numbers of people were killed in the name of communism, an economic movement based in atheism, so I would argue that it is not specifically religion that is destructive, but ideologies that can be destructive. Ideologies become destructive when they dehumanize the other, the bourgeoisie, the heretic, the infidel, etc. I maintain that strident atheists, like Dawkins are dehumanizing when they mock and condemn the religious. This makes him no better than many of the people they mock. They are “fundamentalist” atheists. I say brother heal thyself. Instead, why not create a positive atheism based in understanding, openness, kindness and a generosity of spirit that attracts people to it and away from the condemnation of fundamentalism. Stephen – I’m definitely not defending strident atheist, just offering my view of why they’re so anti-religion. In fact, I see parallels between strident atheists and evangelicals. Both believe that the other is an existential threat to humanity, the former in terms of this life and the latter in terms of the (rumored) next one. Your music was important to me as a teenager finding my way. Thank you. I commend to you a book by Greg Boyd called Benefit of the Doubt: Breaking the Idol of Certainty (Baker: 2013) in which he addresses the centrality of certainty in the Evangelical worldview and the problem that when the certainty (inevitably) goes out the window, sometimes it all goes. May your path bring you back to faith (which is something much different than certainty). Have you guys heard of Religion for Atheists by Alain de Botton? I am reading the “Look Inside” on Amazon. It is excellent so far. He advocates keeping the useful aspects of religion while rejecting the supernatural. I haven’t read this work, but it succinctly describes where I’ve ended up on the issue of religion. In a post above I mentioned that some atheists believe religion is a destructive agent that needs to be eliminated. I concur that the supernatural elements are destructive and possibly even bad for healthy human development, but at least as far as Christianity is concerned, there’s a great deal of value in many of the teachings in the New Testament. I’m thinking mostly about the ethical teachings. I also listened to Undercover in the 1980’s and it is my belief that God used it. I, too, am deeply saddened to hear you have left Christianity–at the same time, I respect that in your mind it was done with the most utmost of thought and deliberation. My only response/question is even though you say you have moved from the illusion of certainty…isn’t that towards a movement of another “certainty”…that you are certain that you aren’t certain? I, too, have always wondered about my Christian faith (maybe not to the Nth degree that you have). But in my mind, all the OTHER possibilities of how life was created apart from a God that always was…to me is quite absurd. I know perhaps Biblical accounts do not pass 100% scrutiny based on worldly standards, but neither does anything else. You’ve heard this before, but doesn’t it seem more logical or reasonable to believe in a Creator then this idea of a “first event”—that also does not have the “facts” to prove it? Thank you very much for reading and taking the time to comment. I have written about what you call your deep sadness about my leaving Christianity. I don’t know if you read this post or not, but it articulates why that is such a strange reaction to understand. If you can add clarity to that and perhaps answer some of the specific questions in the post then perhaps I can answer more clearly. I have to admit that I also do not understand this: “that you are certain that you aren’t certain?” Everything is provisional. We do not understand everything. Even my opinions are provisional, within certain margins of error and confidence levels – everything. So there is very little I can say about anything with 100% certainty, and even going beyond the subjective to the objective, there is no such thing in science as “proof.” Even the idea of “facts” exists within the framework of observation and experience. It is not this kind of certainty that I am concerned with, but the “certainty” the religious maintain with regard to things that cannot be observed, that cannot lead to prediction or facts, but are the product only of blind faith. To say I am certain the sun will rise tomorrow is still provisional and based on the probabilities of its having done so with periodic regularity for billions of years. All this self serving intellectual crap. Yeah, all this just happened. I believe you are denying truth. The heavens proclaim the glory of God. How could the Bible/Christianity survive the scutiny of man? It’s not in our nature to condem ourselves. And, how do you refute history? What’s next, refuting U.S. history? Can you really say you have absolutly no conviction of sin? Evil exists. How do you explain it? What happens after death? or is there no real death? What about spirits? Too many loose ends Joe. Thanks for confirming many reasons I have for abandoning faith, all in one comment! Thanks for reading. I too am an Undercover fan from back in the day and that is what brought me here. In fact, I’m listening to my favorite Undercover album Balance of Power as I write. At any rate, I find your blog fascinating and I especially love the discussion threads (even Tony A’s outburst). I’m 45 years old and you continue to provide a lot of food for thought just as you did with the Undercover lyrics when I was a lot younger (though the first three albums were not so lyrically thought provoking – but still fun at the time). Thanks for everything. I have to admit that I often cringed at some of the old Undercover lyrics, but I loved the passion and energy and the fearlessness of the music. This article does a nice job of showing a person making a very human journey. I like the idea that the heart of Undercover is not something mired in rigid beliefs but wide open to this great world. I can only speak for myself. Ojo, I know (by reading your responses here and other posts) that you sometimes feel people are sometimes in a round about way passing judgement. I am not. I am just thinking out loud and really am trying to understand. I am not a religious person (in fact I have a strong disdain for it). I am also not a “Believer” in the blind faith sort of way. I remember you said one time you used to sit in the Athiest section at Barnes and Noble and read…I sat in that same section, for hours, and days..I have read Dawkins, etc., and honestly I personally found nothing that compelled me to abandon my sense of reason and rationality. In fact, I concluded that Athiests are more zealous and faith driven than most “Christians” I have known. ( Sadly, I also came to realize that Dawkins was no more than a secular bigot). I don’t expect people to understand, nor do I really care either way, what they conclude themselves. What I personally found to be true and am 100% certain of is that there is a God. I know this because I know Him. I certain of my certainty. I could tell you things that would blow your mind. This is the first time I have said this to anyone (except my wife), I used to have colitis (not fun)..I came home late one night in pain..something just stopped me in my hall closet as I was hanging my coat. I prayed a silent prayer asking for God to take it away..instantly I sensed whiteness around me (it was dark) and my body became warm from head to toe..I knew I was healed. The next day my colitis was gone. I don’t go to church (I went to a friends church one time in the last ten years) I wasn’t at a Benny Hinn deal..just me. Do I care if people believe me or are certain about God!? No, not really. But I was there. I know Gods voice. Remember the parable that Jesus said about the master going in the sheep pin through the front gate? The sheep go to him because they know his voice?